LMD is now involved with My Slink Obsession which is a monthly event and boy do we have some awesome shoes for you! Make sure you grab these as they are a bargain price for this event only. When it is over they will be full price in the mainstore. Sneak Peek is a fab event and begins on the 25th of each month. LMD has an AMAZING gown for this round and you are going to LOVE it. Also The Dirty Turkey Hunt is due to start tomorrow and LMD has a cute dress as a hunt gift. Check out this stunner! This will be a great hunt, so get on your comfy walking shoes and get hunting! LMD has a cute little cart set up at the Flawless sim for the Flawless Cart Sale that starts today (17th). We have two items for your buying pleasure. We also have a hunt gift for you, but it is a secret!! Make sure you rock on over and check it out. It is right out front of the newly set up LMD store on the Flawless sim. 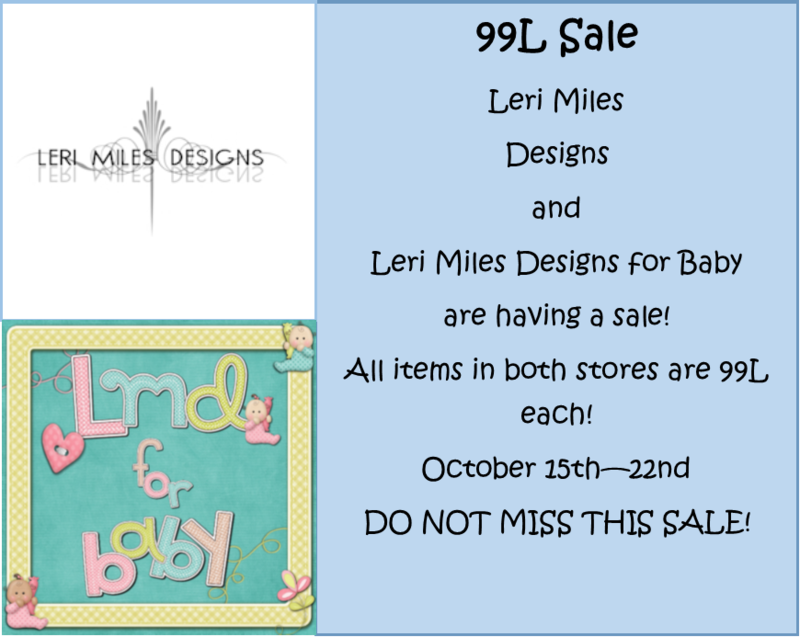 I am so excited to announce that Leri Miles Designs and Leri Miles Designs for Babies are having a NOT TO BE MISSED SALE! All items in both stores will be 99L each! That means that all women’s fashion and accessories, menswear and baby items will be 99L! The sale is going to start on October 15th and will go until October 22nd, so spread the word and make sure you get on over so you don’t miss out. The latest round of The Theme Park is about to start and Dark Fantasies is the obvious theme this month with Halloween just round the corner. We have the smexy Lexy Halloween dress for you. Leri Miles Designs is in Lazy Sunday this week, and she has released a new dress called Chenille. This warm and fuzzy dress is perfect for the fall and winter season and is released at a special Lazy Sunday price of just 75L. The dress comes in 12 great fall colours and each features a leather a belt which will change into 4 colours so you can mix up your look. The next round of Designer Showcase is almost upon us (October 1st) and we have some lovely autumny items for you. Each dress comes with the option to color change it so it suits your shoes or hair or whatever mood you are in that day. LMD is heading to My Attic @ The Deck and we have some glam new shoes for you. These pumps for Slink High Feet are just perfect for adding that finishing touch to an outfit and with the HUD you can change them to suit your outfit! 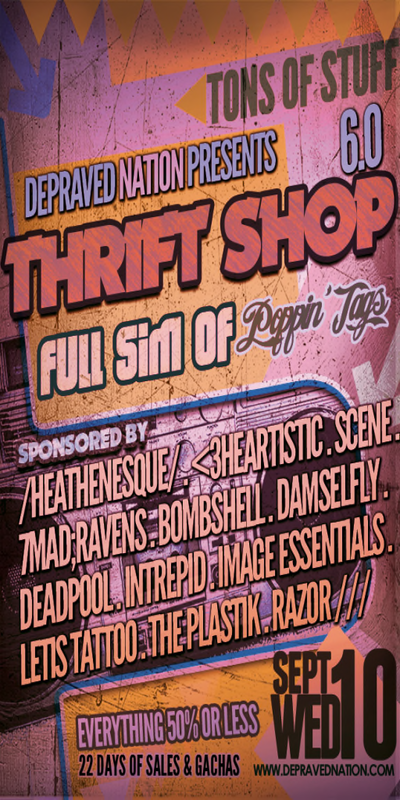 The Thrift Shop 6.0 begins on the 10th of September and will be as amazing as ever. 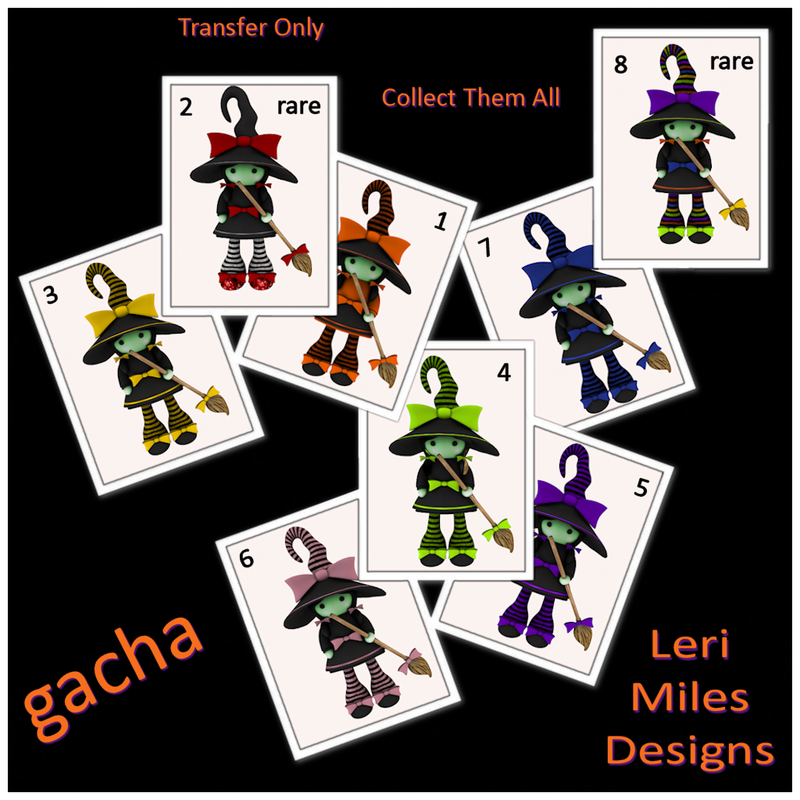 Leri Miles Designs has some awesome goodies for you there too! Check these out. Each dress is only 75L! Amazing!